Timo is the School Producer (School Principal) at Woodland Star International School. He graduated from the University of Cape Town with a Bachelor’s Degree in Environmental and Geographical Science. Afterwards, he completed his Postgraduate Degree in Education at the University of Stellenbosch. In South Africa, Timo spent five years teaching mathematics and natural sciences to children aged twelve to fifteen. He also spent two years developing an educational project in rural schools in Zanzibar. Timo previously lived in Kenya for two years, and speaks German, English, and Afrikaans fluently, though his French is a little “rusty.” His interests include camping, playing sports, gardening, singing, acting, guitar, and discovering how to recycle junk into something beautiful. Timo has completed several ultra marathons and especially enjoys trail running. Brandy has stepped into the role of Head of Early Years this school year. 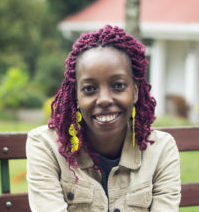 Previously, she has taught a wide range of ages from three to thirteen year-olds in the United States and Kenya. At Woodland Star, she began as a primary classroom teacher in 2013 and has also taught middle years literacy. Brandy graduated from the University of Arkansas with a Bachelor’s Degree in Kinesiology and a minor in Nutrition. Soon after, she realized her true passion was teaching and she completed her Master’s of Arts in Teaching from the University of Central Arkansas. Brandy loves bringing creativity and exploration into the classroom to bring learning to life. In her free time, she enjoys running through the beautiful tea fields of Tigoni, baking, traveling, and being in nature. Brandy is happily married to her husband, Bobby, and they have lived in Kenya for four years. Woodland Star was founded by Amy. She graduated from the University of Mobile with a Bachelor’s Degree in Early Childhood and Elementary Education and from William Carey University with a Master’s Degree in Gifted Education. Amy went on to teach internationally in 1992. She has taught in both the American system and the British system, across a range of differing subjects and levels of student development. 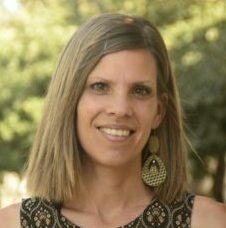 Amy is certified in MBTI training and strengths coaching, and uses her understanding of personality types to engage with individual children according to their own unique gifts. At Woodland Star, she serves as teacher trainer and education director. Amy loves to travel, go to museums, be with her family, laugh, watch interesting movies, experience theatre, and dance (although she claims to be not very good at it). Amy loves her husband John and her three children, Meredith, Carmichael, and Mara. Jennifer is the homeroom teacher for the Muhuti Village (9-10 years). She loves to be creative, learn new things, explore the outdoors and spend time with family and friends. Jennifer has a wide range of teaching experiences from Kindergarten to 9th grade, including being a classroom teacher for 3-7th grade, K-8 Compputers, K-6 Art, 1-5 ESL, 9th grade English and 9th grade Algebra. Not only is Jennifer passionate about teaching, she also enjoys the adventure of living internationally. Jennifer met her husband, Brenton, in 2008 in Kenya and together they have lived in the US, China, Norway and are now back in Kenya with their son, Sam. Dorinah is married to Oscar and has three children – Jerry (18), Israel (3) and Shana (1). 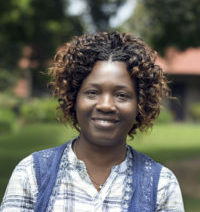 Having taught for 18 years, Dorinah brings with her an immense wealth of experience in Early Childhood Education, and the completion of her Masters Degree in Early Childhood Education is imminent. Before joining Woodland Star as the homeroom teacher of the Baobab Village (3-4 years), Dorinah taught for 5 years at Rosslyn Academy. Dorinah loves traveling and reading, and loves being part of the Woodland Star family. John has been a part of the Woodland Star team since the inception of the school. He received a Bachelor’s of Education from the University of Nairobi, majoring in mathematics. Besides his mathematical ability, John is a formidable athlete, specializing in field hockey. He combines intellect and athletic skill in developing and teaching physical education at Woodland Star. He lives in Tigoni with his wife, Joy, and his daughter, Antonia. He likes developing talents and works as a national hockey coach with budding hockey players in Kenya. Annika is the homeroom teacher for the Nandi Flame Village (8-9 years). 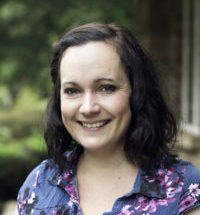 Annika received a degree in media and cultural studies from Nottingham Trent University, where she enjoyed learning how to produce and edit short films. Immediately after, Annika spent a year teaching in Japan. She then returned to complete her Postgraduate Certificate in Primary Education. 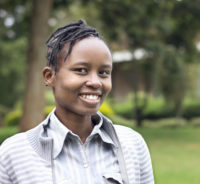 Before teaching at Woodland Star, Annika taught at Braeburn Garden Estate in Nairobi. Besides teaching, she also served as the English coordinator for the primary school. 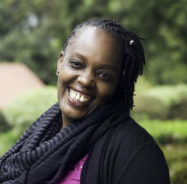 Annika lives in Limuru with her husband and two young boys, Arlo and Otis. Annika enjoys cooking, dining out with friends, swimming, exploring the outdoors and traveling. 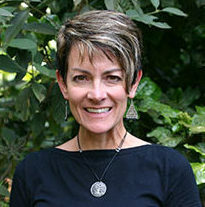 Micki serves as a co-teacher in the Euphorbia Village (5-6 years old), and has a diploma in International Montessori Pedagogy. She also has a Bachelor’s of Education in Early Childhood Development, graduating with honors. Micki, while a recent addition to the Woodland Star staff, has been involved with the school since its beginning. Zarina graduated from the University of Georgia (USA) with a Masters in Early Childhood/Elementary Education. She also has certification to teach STEAM and Gifted Education. 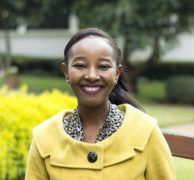 She grew up in Kenya and previously worked as a service manager in an international bank after graduating from Moi University with a Bachelors in Sociology. At Woodland Star Zarina teaches STEM, KiSwahili and Library. Nothing has challenged her as much as being a teacher. She has always had a passion for working with children and is a proud aunt to 9 nieces and nephews. She is a strong proponent of Hundred Languages of Children (Reggio Emilia), and believes that there are a hundred different ways of thinking, of discovering, and of learning. 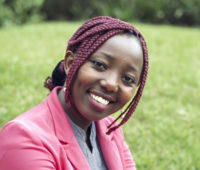 Ondi is a graduate from the Catholic University of Eastern Africa with a Bachelor of Law. In her past Ondi has been a journalist, an event organizer and a national hockey player! She has been an art and music teacher at Woodland Star since 2015. Ondi writes, reads and performs regularly when she is not teaching, and is inspired and driven by global creative arts. Gillian graduated from Kenyatta University with a Bachelor’s of Education in French language. She has a Diploma in French Language Studies from Alliance Française, and has worked as a language teacher at Woodland Star since 2015. Gillian helps in the administration of the school, as well as the school library. She speaks English, French, Kiswahili, and is studying Japanese. Gillian says that language is her passion as it is a tool towards understanding and connecting with people from different cultures. She views language as a tool that brings about a sense of belonging in a community. Besides her aptitude for language, she loves computers and technology. 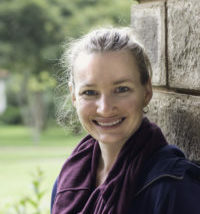 Sarah Mukundi studied in Australia, receiving her Bachelor of Education in Early Childhood, and a graduate diploma of International and Community Development. She taught for four years in a variety of locations in Queensland, Australia. 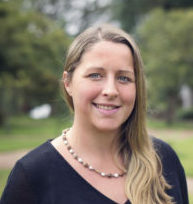 After her time in Australia, she began teaching at Rosslyn Academy in Nairobi. While in Nairobi, she has also worked with an NGO, training teachers and working to build up a school that serves street boys. At Woodland Star, Sarah is the homeroom teacher for the Euphorbia Village (5-6 years) . She enjoys photography, traveling, and meeting new people. She loves her husband, Teo, her baby, Eli, and her Japanese Spitz named Bella. Esther is the homeroom teacher for our Acacia Village (2-3 years). 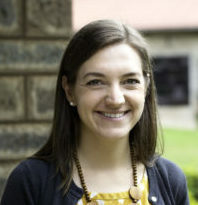 Esther has taught in both Kenyan and international educational settings for the last 11 years. Her nurturing, energetic and caring nature complements her passion for child-centered learning with young children, fueling her commitment to providing a loving and developmentally sound foundation of learning. Along with her Montessori training, Esther has completed Kindermusik online, receiving all of the available music badges. Some of her passions are: music, drama, reading, traveling, cooking and board games. Berit has a Diploma in Early Childhood Development and is in her final year of completing her Bachelors Degree in Education. 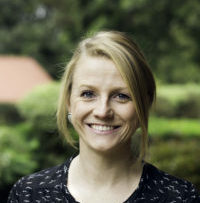 Berit loves travelling and has been fortunate enough to teach English in Mexico, au-pair in Germany and look after her niece in the heart of the Kenyan bush. Berit has been a teacher for 4 years, starting her journey at the German kindergarten in Cape Town, South Africa. At Woodland Star, Berit is a co-teacher in the Mugumo Village. Berit loves gardening, and enjoys being active, pursuing hobbies like jogging, hiking, riding her mountain bike, and traveling. Racheal has worked with Early Years at Woodland Star since its beginning in 2013, and is currently a co-teacher in the Acacia Village (2-3 years). She has a certificate from the Kindergarten Headmistresses’ Association at the Aga Khan Nursery. Her hobbies include being with children, traveling, singing, and reading. Esther has a diploma in Early Childhood Development, and before joining Woodland Star worked as an art teacher at the Nairobi Art Centre. 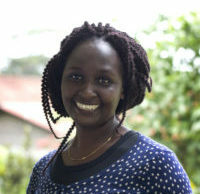 For the last ten years Esther has worked with children of different age groups in various schools in Kenya, instilling in her a great passion for teaching. Esther is outgoing, loves picnics, and has a great passion for art and creativity. 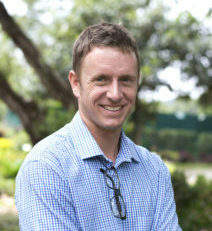 Sean is a director of Woodland Star International School. He graduated with distinction from the University of Cape Town with a Bachelor’s Degree in Environmental and Geographical Science. Besides his role in the leadership of Woodland Star, Sean is the managing director of Muna Tree Holdings, the umbrella organization of the school. He also serves as the Chairman of Mara Naboisho Conservancy, an award-winning community-based conservation initiative in the Masai Mara. As Woodland Star continues to focus on environmental sustainability as a core tenet, Sean’s knowledge, direct experience with conservation efforts, and leadership skills are great assets to the school. 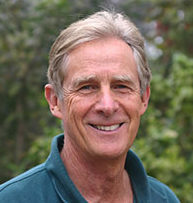 John serves as a director for Woodland Star. He has a Kansas State Scholar Award, graduating from the Kansas State University with a Bachelor’s in Business Administration. Afterwards, he became a Certified Public Accountant, and then graduated from the University of London with an MBA in International Business. 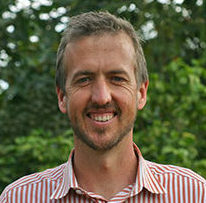 John has worked for various companies and organizations across the continent of Africa since 1990. 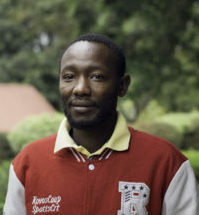 He is a bronze medalist for the Kenya Total Oil EcoChallenge Environmental Award, and has contributed greatly to the establishment of Woodland Star School. Mark is a special advisor for the school’s environmental program, supervising activities such as tree-planting and providing resources. 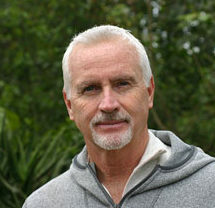 Mark is the director of Plants for Life International, and has a doctorate from Cambridge University, England. Elie is the mastermind behind our Peace Heroes curriculum, and we are proud to collaborate with her. She was born and raised in Jerusalem, Israel, to an American father and Swiss mother. She spent her childhood immersed in the country’s diverse communities, though she didn’t (technically) belong to any of them. 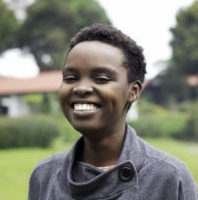 After graduating from high school, Elie went on to complete her Bachelor’s of Arts in Literature, as well as two Master’s of Arts, one in Conflict and Reconciliation and one in Creative Writing and Literature. She has lived in Jordan, England, Northern Ireland, Ireland, and Canada. Elie currently lives in Jerusalem where she works as a curriculum writer for Peace Education. She loves being outdoors, reading, spending time with family, and creative writing.